Other prizes include weekend breaks, opera and ballet tickets, and signed pointe shoes. The Royal Opera House Grand Draw 2015 is now open. By entering the Grand Draw you will support the work of the Royal Opera House, a registered charity. 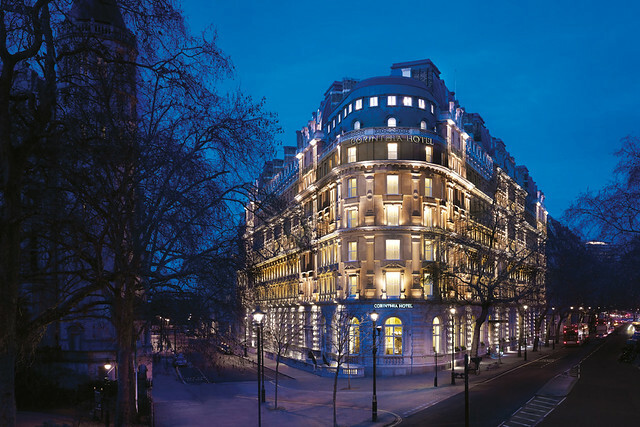 This year, 25 fabulous prizes are on offer, including the first prize of a two-night stay for two in a stunning penthouse at the Corinthia Hotel London, along with dinner in the Royal Retiring Room and Royal Box tickets to The Royal Opera’s Madama Butterfly for you and three guests. The Royal Opera House relies on contributions from our supporters to present extraordinary performances, incredible craftsmanship and inspiring learning and participation projects. Last year the Grand Draw raised almost £65,000 of vital funds. Buying one ticket for just £2 could pay for a frock coat button in Die Zauberflöte. Buying twelve tickets for £24 could provide 36 pieces of chalk, 2,400 safety pins or 53 hook-and-eye fastenings, enabling the Costume Department to produce stunning costumes for the stage. To enter, go to our Grand Draw website. You can also email us your details or phone +44 (0)845 601 6936 to receive a book of tickets by post. Make sure you return the tickets to us by the deadline of 21 January 2015 for a chance to win. Good luck! A year’s subscription to Country Life magazine. Terms and Conditions: The closing date for entries of the 2015 Grand Draw is Wednesday 21 January 2015, with the draw taking place on 28 January 2015. Winners will be informed in February. Entrants must be over 18 and resident in England, Wales or Scotland. No entrants are allowed from Northern Ireland, the Channel Islands or the Isle of Man. This is a condition of our lotteries license I'm afraid. At present the Grand Draw is only available to residents of the UK mainland. I have tried several times to enter the competition but the site will not accept either of my cards. Sorry to hear you are having difficulty entering the draw. I have passed your query on to the Friends of Covent Garden Team, who will be in touch to help you with your problem.